British born soprano Alice Privett has performed with professional opera companies from a young age, singing roles such as the page boy Rigoletto (Bermuda Festival Opera) and Second boy Magic Flute (Longborough Festival Opera). After studying singing at Chetham’s School of Music for sixth form, she studied for her undergraduate degree at the Guildhall School of Music and Drama and graduated in 2011 with a First Class Honours degree and the Concert Recital Diploma. Alice graduated from the Royal Academy of Music in 2014 after completing the MA (as the Jennifer Vyvyan scholar) and Opera Course. Operatic roles include Poppea L’incoronazione di Poppea (Barefoot Young Artists/ Longborough Festival Opera Young Arists Programme), Donna Elvira Don Giovanni (Barefoot Young Artists), Belinda Dido and Aeneas and Venus Venus and Adonis (Ad Parnassum), Serpina La Serva Padrona (self produced and directed by Polly Graham), First Bridesmaid/ cover Susanna Le Nozze di Figaro (British Youth Opera) Despina (Hampstead Garden Opera), Colette (Le Devin du Village, UCL), Papagena (Longborough Festival Opera), cover Nanetta (Iford Opera), Pamina (LFO Young Artists on tour/ Barefoot Young Artists) Baronessa Irene and Pastourelle (L’enfant et les sortilèges at the Barbican, recorded and aired on BBC Radio 3) with Royal Academy Opera, cover Gretel Hansel und Gretel for Garsington Opera, Carolina The Secret Marriage for British Youth Opera and Ginevra Ariodante (RAO), Gretel (West Green Opera - Garsington Young Artists, 2014, and the Pimlott Foundation in 2015), Nerone (L’icoronazione di Poppea at the Aldeburgh Festival, with Richard Egarr), Nedda i Pagliacci (Woodhouse Opera), Oriane Amadis de Gaule (UCL Opera), Romilda Xerxes (LFO), Giulietta (Pop Up Opera) and Mimi (Clapham Opera, Regents Opera, Christine Collins Young Artists Programme, Holland Park Opera), Susanna (Kilden Theatre, Norway), and the title role in Simplicius Simplicissimus (cover) for Independent Opera. Scenes include Agrippina and Anna Die Lustigen Weibe (RAM), Anne Truelove and Helena (RAO). Alice has a keen interest in new music, and was awarded the Tracey Chadwell Memorial Prize by the GSMD for work in contemporary song. 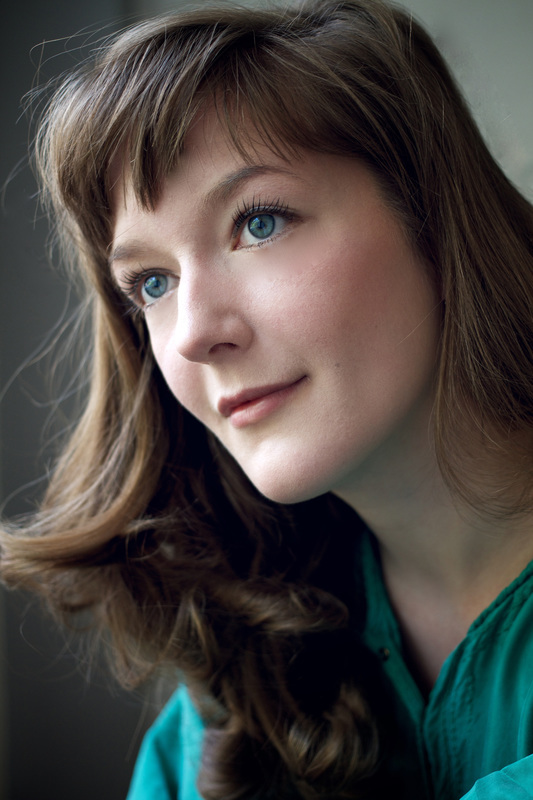 Last summer she sang Narrator in Laura Bowler’s Sandman at the Tête à Tête Opera festival, and in 2012 performed in a centenary performance of Pierrot Lunaire with Jane Manning. In 2013 she performed ‘Songs for Sue’ (Knussen) at the RAM with the Manson Ensemble, and 2014 includeded a selection of Birtwhistle songs aired on BBC Radio 3 as part of the BBC proms, and a solo recital at King’s Place (Berg and Schoenberg song). During her undergraduate course she had the benefit of creating a role in the premiere of Iain Burnside’s play Unknown Doors in the Barbican Pit Theatre. She has participated in masterclasses with Rudolph Piernay in Salzburg, Joan Dornemann as part of the IVAI programme in Tel Aviv, and Dennis O’Neill at the Royal Academy. In 2012 she worked with Dawn Upshaw and Kayo Iwama as a Britten Pears Young Artist in Aldeburgh, specialising in American and French song. She was also part of the Royal Academy’s Song Circle, with whom she performed several concerts around England, including at the Oxford Lieder Festival. Recent recitals include a solo recital with the London Handel Festival, and a performance of Strauss’ Vier letzte Lieder at the Amersham Festival. Her extensive oratorio experience includes Israel in Egypt with the Huddersfield Choral Society, Handel’s Messiah (St Martin-in the Fields and Kings Place), Carmena Burana with Sloane Square Choral Society, a world premiere of the McCabe Psalm Cantata at St John’s Smith Square and Tippett’s A Child of Our Time in Bath Abbey/Salisbury Cathedral. She also was a regular Kohn Foundation Bach Cantata soloist at the Royal Academy. In competition she has won the first prize in the Susan Longfield Award (2011), the Royal Overseas League (2011) with the ensemble ‘Cries of London’ (with whom she performed at the Wigmore, July 2013), and in the Joan Chissel Schumann Prize at the Royal Academy of Music (2012). She is the recipient of both the Helen Clarke Award (2013) and a Leonard Ingrams Award (2014) from Garsington Opera. She won the Leon Fischbach Memorial Prize at the London Handel Competition, and was a finalist in the Kathleen Ferrier Awards (2015). Upcoming operatic roles include a revival of Giulietta for Pop up Opera, the title role in Snow (a new comission for The Opera Story) and Bianca, La Rondine (and Magda, cover) for Holland Park Opera.